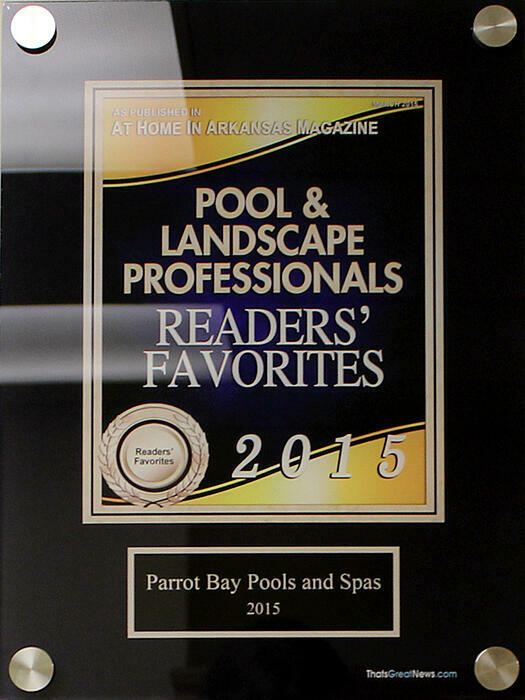 Parrot Bay Pools is honored to have received three Arkansas Pool and Spa Professionals (APSP) design awards, the 2015 At Home in Arkansas Readers' Favorites award, and the best of Little Rock award for several years in a row. Parrot Bay Pools has received three awards in the APSP Region 3 Design Awards Competition over the past three years. We were awarded the Silver award in 2013, the Bronze award in 2014 and the Merit award in 2015. 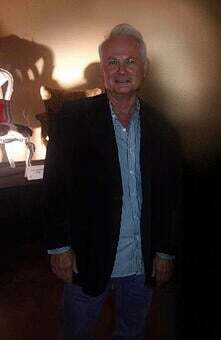 We are proud to be part of the APSP region 3 Design Awards and to have our artistic achievements recognized. The Association of Pool & Spa Professionals is the world’s largest international trade association representing the swimming pool, spa, hot tub and recreational water industries with a mission to enhance the business success of members. APSP members adhere to a code of business ethics and share a commitment to public health and safety in the use of pools, spas, and hot tubs. The APSP Region 3 Design Awards, presented annually, recognize and reward the most beautiful and creative pools, spas and hot tubs across the seven states that comprise the APSP Region 3 area. Competition is open to APSP member builders, designers and service and retail firms within APSP Region 3 boundaries. We are proud to recieve the At Home in Arkansas Readers' Favorite award for 2015. We have been honored to be selected for the Best of Little Rock Award in the Swimming Pool categories in 2008, 2009, 2010, 2011, 2012 and 2013 by the US Local Business Association (USLBA). The USLBA "Best of Local Business" Award Program recognizes outstanding local businesses throughout the country. Each year, the USLBA identifies companies that they believe have achieved exceptional success in their local community and business category. These are local companies that enhance the positive image of small business through service to their customers and community. We believe these awards are not only a result of our hard work, but also because of the many people that have supported our business and contributed to it’s sucess. Thank you for helping us become one of Little Rock, Arkansas most elite pool builders and contractors. "Let me put my pool design skills to work to create a little piece of paradise in your backyard"
For those interested in financing, we have 100% financing available.